Fall is always a busy time of year for most, consisting of pumpkin patches, fall carnivals, and class parties. When it comes to sending in classroom treats, I need something that is both cute and requires very little time. When my daughter’s fall party rolled around, we were still spending most evenings at the ball field, which meant we were getting home late and that’s how these adorable vampire donuts came to be! 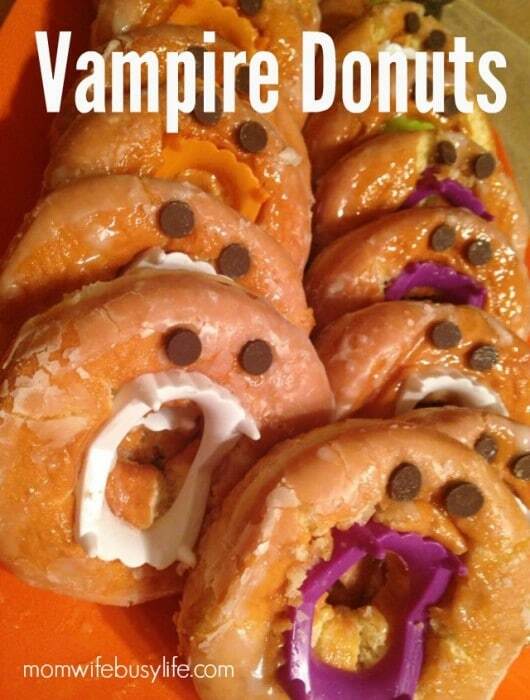 Simply place a set of teeth in the center of each donut and pop in two chocolate chips for the eyes and there you go…super simple and adorable vampire donuts!